The President’s appearance Tuesday on “Late Night” marks a big day for both men, who have been on the job three-plus years. But will they be sending each other thank-you notes after it’s over? Jimmy Fallon, after a little over three years into his late-night talk show gig, is pretty much over the jumpy nervousness he exhibited early on while interviewing celebrities, beginning with the daunting Robert DeNiro. But Fallon could be forgiven if he's already spouting flop sweat over Tuesday's guest, a figure perhaps even more intimidating than the taciturn "Are-you-talking-to-me?" actor: President Obama. Still, the president, who comes off as generally relaxed in entertainment talk show settings, may have reason for experiencing some butterflies himself. For Fallon, the Obama interview signals he's emerging as a top player in the crowded late-night talk show landscape – and offers an opportunity to further expand the host's profile beyond the youth crowd. For Obama, the guest slot marks his first late-night TV outing since the presidential contest essentially became a two-man race, in an election year where such appearances may be play their biggest campaign role yet. 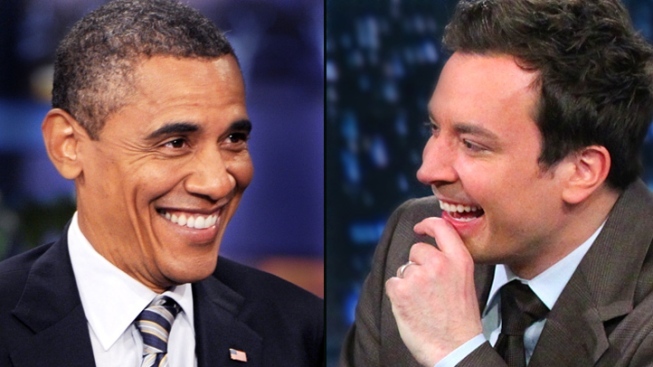 Perhaps more significantly, the stint on "Late Night with Jimmy Fallon" offers Obama an opportunity to connect – or perhaps reconnect – with the kind of young, social media-savvy voters who helped propel his historic 2008 victory. It’s worth noting that Obama and Fallon both started the biggest jobs of their lives within a few weeks of one another in 2009. It's clearly no coincidence that Obama will visit Fallon at University of North Carolina at Chapel Hill, where the host is taping a special show. Unlike Bill Clinton's 1994 MTV appearance that featured the infamous "boxers or briefs" query, Obama hopes to keep the conversation primarily to his bid to stem interest rates on student loans. Fallon's brand of humor, rife with music parodies (his brilliant “Tebowie” is out on vinyl) and Web-friendly spoofs (check out his new "Downton Abbey" takeoff), positions him as probably the least political of the late-night comics. That’s at least part of what makes him a safe choice for Obama, who has worked the late-night entertainment circuit – Letterman, Leno, Stewart, Colbert – far more than any sitting president. While he risks criticism for spending too much time with the comedians, Obama likely intuits the importance of such appearances in making candidates seem more human, giving the audience a chance laugh with them, rather than at them, as usual. Members of the initially crowded Republican field, as we’ve noted, seemed to turn up on entertainment shows earlier and more often than in campaigns past, in a bid to stand out. Obama, while good with a crowd, isn’t a natural comedian – nor is Mitt Romney, the presumed GOP candidate, who is battling his image as stiff. But the former Massachusetts governor acquitted himself well on "Late Show With David Letterman" in December when he recited the “Top 10 Things Mitt Romney Would Like to Say to the American People” (No. 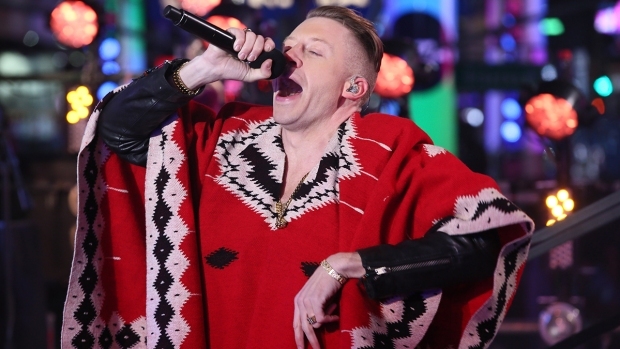 9: "What's up gangstas – it's the M-I-double-tizzle"). He's reportedly mulling an offer to appear on "Saturday Night Live," which likely would help counteract Jason Sudeikis' weekly portrayal of him as a boring panderer. Obama, though, will get the first shot at making a comic impact in the newly narrowed race. The show also is another key test for Fallon, whose confident, winning performance as Emmys host in 2010 suggested he's come a long way since cracking up during "SNL" skits and is primed for a bigger stage not too far down the line. But that’s getting ahead of the game – we'll soon see whether Obama and Fallon, to invoke a "Late Night" staple, will be writing each other thank-you notes after Tuesday night's show.